This year marks the 50th anniversary of the arrival of the civil rights movement as a mass movement on the streets of the north-east of Ireland. A peaceful movement was met with fierce repression by the Orange state – peaceful protesters were assaulted with police truncheons and tear gas. Sections of the Special Powers Act, legislation jealously admired by the apartheid regime in South Africa, were used to try to ban marches and other civil rights activity. Orange mobs, protected by the Royal Ulster Constabulary, were also unleashed on the nationalist population. As the nationalist working class began to effectively defend its areas with barricades and street fighting, the British government sent in troops to “restore order”, ie put a risen people back in their place. Over the following decades the British used a whole array of repressive measures against the nationalist people: batons and tear gas, along with stun guns, live rounds, rubber and then plastic bullets, internment, non-jury Diplock Courts, supergrass frame-up trials and shoot-to-kill (ie execution) policies were all deployed. While the British state widely used terror methods against the nationalist population in the Six Counties, they denounced those who resisted them as terrorists and sought to criminalise the struggle for Irish national liberation. 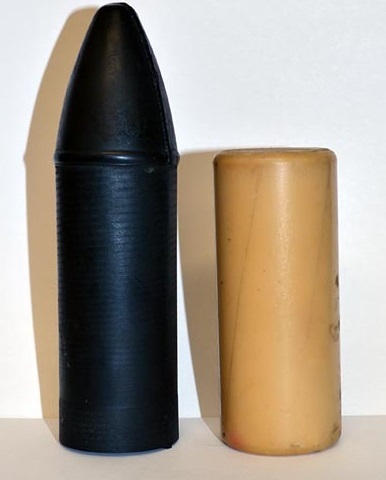 Rubber bullets were first used in 1970, and over the next few years their use massively increased: in 1970, 238 were fired, in 1971 this rose to 16,752 and in 1972 to 23,363. Altogether, from 1970 to 1975, almost 56,000 of these bullets were fired. One person was killed and about 70 wounded. They were replaced by plastic bullets, specifically developed for use by the British state’s repressive forces in Ireland. Plastic bullets were supposed to be ‘safer’ than rubber bullets. While they were shorter – four inches long with a diameter of 1.5 inches – they were actually made of PVC, weighed about five ounces and fired at speeds up to 170mph. Tens of thousands of these were fired over the rest of the course of “the troubles”. Plastic bullet use peaked in 1981, the year of the hunger strikes: 29,665 were fired that year, compared to 1,231 the year before. Basically, plastic bullets were used very widely in 1981 to try to terrorise people off the streets as huge numbers rallied in support of the IRA and INLA prisoners on hunger strike in the H-Blocks. By 2005, a total of around 125,000 rubber and plastic bullets had been fired at the population, overwhelmingly the nationalist population, in the six counties by the British Army and the RUC. Altogether, between 1972 and 1989, seventeen people were killed in the north by rubber and plastic bullets, 15 in Belfast and Derry, one in Tyrone and one in Armagh. Others were maimed, like Emma Groves who was blinded in 1971 by a British soldier firing a rubber bullet directly into her face. Sixteen of those killed were from the nationalist population and just one from a Unionist area. Eleven were killed by the British Army and six by the RUC. Eight of those killed were fifteen years and younger. The youngest was 10-year-old Stephen Geddis, of the Divis Flats in Belfast who died on August 30, 1975, having been hit two days earlier by a plastic bullet fired by a British Army unit. The oldest victim was 45-year-old Henry Duffy, shot with a plastic bullet on May 22, 1981 by the British Army, while simply walking along a Creggan street in Derry. Duffy was one of the seven Irish people shot dead with these bullets during the hunger strikes of 1981 and the mass protests around them. Those murdered during the 1981 hunger strike period included two girls who were simply walking along Belfast streets when they were shot dead with plastic bullets fired by the British Army: 14-year-old Julie Livingstone and 12-year-old Carol Ann Kelly. Nora McCabe (30) and Peter McGuinness (41) were shot dead with plastic bullets on July 9 and August 9, this time by the RUC. The other 1981 victims were 15-year-old Paul Whitters, shot dead by a plastic bullet fired at him by the RUC on a Derry street in April and Peter Doherty (36), shot dead by a plastic bullet fired at him by the British Army at his home in the Divis Flats in Belfast on July 31. Perhaps the most internationally well-publicised killing was that of Sean Downes, who was shot with a plastic bullet fired by the RUC at point-blank range – namely, six feet away – as they assaulted an anti-internment march in Belfast on August 12, 1984. Media from a number of countries were covering the march, so there is no shortage of photographic and film footage showing both the slaying and its deliberate nature – one of the photos showed the RUC officer taking deliberate aim at Downes. Photos also show RUC members smiling and enjoying themselves while assaulting marchers with batons, fists and plastic bullets outside Connolly House on the Falls Road. In the case of Belfast housewife Nora McCabe case, the lies of the RUC – that it fired at rioters who had set up barricades – were exposed as a Canadian film crew making a documentary had been in the area at the time and handed their footage over to the inquest. No barricades, no rioting – it was 7.30 in the morning! 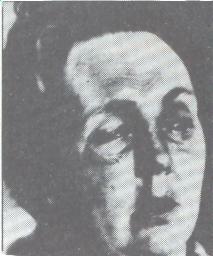 – but two armoured RUC vehicles did come driving along and one opened fire on Nora McCabe from a few yards away. She had been merely going about her morning business. A detailed RUC report in 1984, finally made public 30 years later in 2014, showed that the person responsible for issuing the order to shoot Mrs McCabe was none other than Chief Superintendent Jimmy Crutchley. Despite evidence by witnesses of the killing, no charges were ever brought against Crutchley or anyone else. The other victims of this particular brand of state terror were: Brian Stewart (13), slain in 1976 by a plastic bullet fired by the British Army near his home in Turf Lodge, Belfast; Seamus Duffy (15), killed by an RUC plastic bullet in 1989 while walking along the street in New Lodge, Belfast; Michael Donnelly (21) shot dead on a Belfast street corner in 1980 by a British Army plastic bullet; two young men – Tobias Molloy (18) and Thomas Friel (21) – shot dead by the British Army firing rubber bullets during street disturbances in Strabane in 1972 and Derry in 1973 respectively; and Francis Rowntree (11), shot dead by a British Army rubber bullet in the Divis Flats in 1972. The one person from a Unionist area shot dead was Keith White (20), killed by an RUC plastic bullet in Portadown in 1986, during street disturbances. And, indeed, he was. The duty of the British Army in Ireland, after all, has always been to terrorise the Irish, including children, and beat them into submission. And that will always mean killing civilians, like the 17 people murdered by the British Army and RUC with rubber and plastic bullets. These deaths were, in effect, simply a form of shoot-to-kill policy. The British Army is still in the north of Ireland and the PSNI is essentially a rebranding of the RUC, with endorsement from the new nationalist establishment in the north. Plastic bullets remain in the repressive arsenal. The main difference between now and the 1970s/1980s is that the Provos, once a militant left-wing movement that fought the state, is now part of the state apparatus dishing out divide-and-rule policies and repression. Posted on April 1, 2018, in 1981 hunger strike, British state repression (general), British strategy, Democratic rights - general, General revolutionary history, Historiography and historical texts, Provos - then and now, Repression and resistance in 1970s and 1980s, Repression and resistance in the six counties today, Unionism, loyalism, sectarianism. Bookmark the permalink. 2 Comments.